Last week there were so many inspiring projects! Let me show you some of my favorites from last week and also from the Sept 10th party. I'm a little behind, sorry! 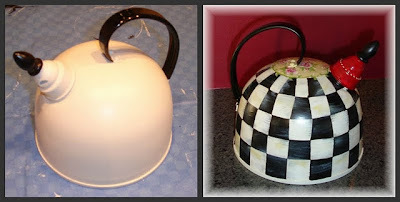 just like the popular MacKenzie Childs items...don't you just love this teapot now? Rose from Sew Stylish Boutique shares how to make a fabulous pumpkin spiced vanilla latte..
perfect for those cooler fall evenings! Cathy from My 1929 Charmer redid this buffet that was missing some of the legs. You'll want to see the before picture, great project! her home is so fantastic...her kitchen is a must see! 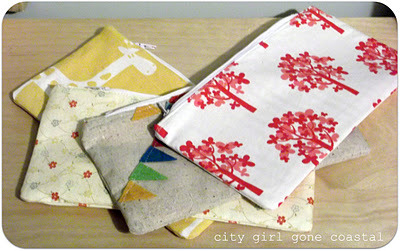 Amanda from City Girl Gone Coastal shows us how to make a pouch with a zipper. She's got step by step directions and picures...great for beginners! 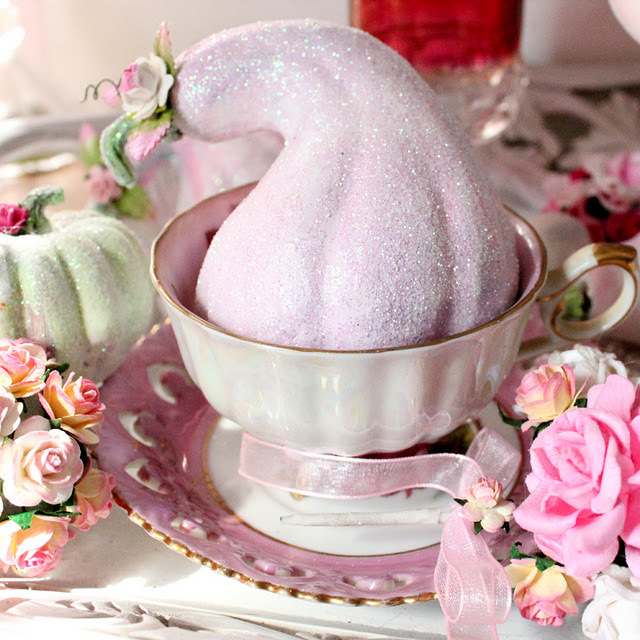 Rebecca at My Girlish Whims shows us how to make this super cute felt jack-o-lantern. Wouldn't this be a great project for kids? Learn how to add a signture to your blog at From Gardners 2 Bergers. This is such a nice feature to have on your blog and Becca has a full tutorial for ya! Stop over and check it out...I would love to win all the goodies! that she made using the terra cotta pots..
Lynda shows us several great Halloween projects that she did to put together this Halloween arrangement. I'm loving the Putz House and you can make one too! 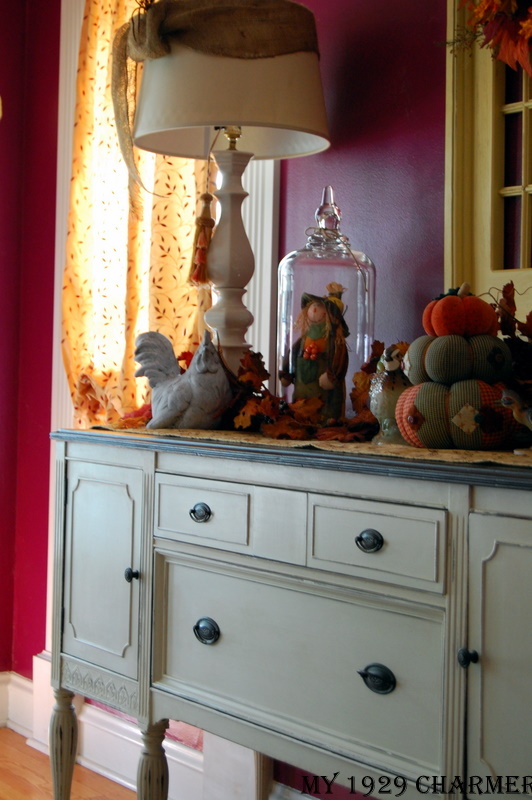 And if you're anyrthing shabby chic, Lynda shows how to transform your pumpkins and gourds. 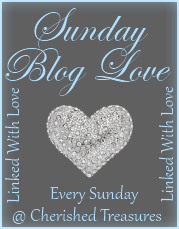 Feel free to grab my featured button to add to your blog..
Oh thank you so much for the feature. You kind words on my kitchen are so sweet. Thanks! 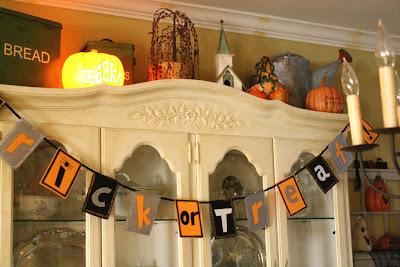 thank you for featuring my felt jack-o-lantern! Your features are so cute. They're getting me in the Halloween mood! Thanks for hosting, and I hope you have a great week, Terry. Holy Cow! I was so confused when I saw the signature for my blog all blown up in huge writing- until I read a little further. SO funny!. Thanks for featuring my little how to! What a pleasant surprise to come on over and see that I was featured! I am thrilled! Thanks for hosting this party! 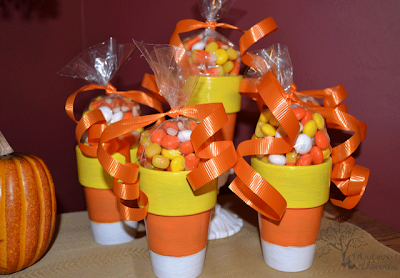 Thank you for featuring my candy corn pots! And as always, thanks for hosting! Thanks for hosting! Looks like alot of beautiful projects have been linked. I added the Apple Butter Spice Muffins.